Prototek Sheet Metal Fabrication located in Contoocook, NH has an immediate opening for an Entry Level Draftsman to draw blue prints in SolidWorks 2016/2017. Candidate should have at lease 1 year SolidWorks experience. Professionalism and good communication skills are necessary. Individual should have a good sense of prioritizing and be proficient with computers. We have been in business for nearly 30 years and offer a full range of health benefits, 401k and vacations. 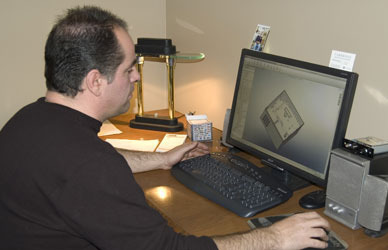 If you are looking for a new career, give the leaders in rapid prototyping a call today at 603-746-2001, Ask for Jay. Prototek also uses the latest software packages for sheet metal design and engineering, including Pro E – Solidworks – AutoCAD – CadKey – FabriWin – to accommodate our custom sheet metal manufacturing precision cnc machined prototyping way of business.